For your relaxing and family fun, Anna Maria Island vacation, check out this spacious beautiful 3 bedroom, 2.5 bath town home. Coastal furnished and surrounded by tropical landscape with 2 balconies and a community pool. Here you will make memories to last a life time! 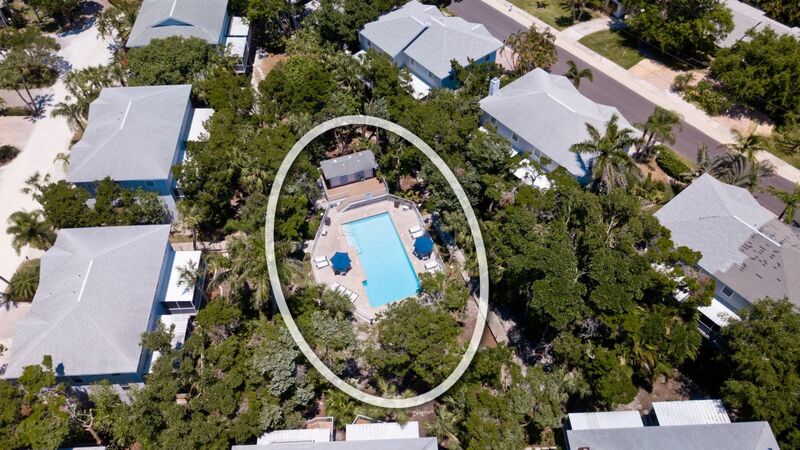 When you arrive at the North Beach Village complex, you'll find this end unit conveniently located just a short walk from gulf beaches and the Holmes Beach town center. Shopping and dining within walking distance, but parking for two vehicles in the garage makes it easy to take the whole family across Anna Maria Island. When you aren't busy exploring Holmes Beach, head over to the heated shared pool for a swim, or lounge on one of the patios with a good book. Inside, this vacation rental offers coastal furnishings and entertainment via the flat screen TV and free WiFi. The fully equipped kitchen and dining room nicely accommodate all, with the screened lanai just through the sliding doors off the living room. A gas BBQ grill is also provided for the grill masters. Please contact me with information regarding North Beach Village 50. Clean, comfortable, lots of room for two families. BBQ, beach chairs, umbrellas, wagon. Extremely well equipped property, clean, spacious, and comfortable. A short walk or trolley ride to anywhere on the island. North Beach Village #50 was a great property! Exactly as described - a short walk to the beach, clean, updated and fully stocked with anything you could need to visit the beach (wagon, umbrellas, chairs, beach towels etc.) Everyone in our group was pleased with the accommodations and everything you could possibly need was there (from a blender to Monopoly to keep us busy on a rainy day) and when we needed to contact the property management they were extremely helpful and quick to respond (even after hours for what was surely not an emergency).